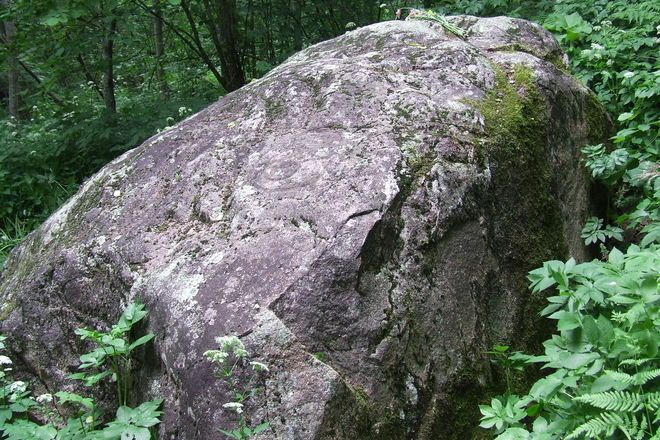 The stone of Valiulis is in the forest, which is called a Sacred Wood. The stone is very large with the graven signs. On the western side of the stone, an arc and a boom are graven, and on the eastern - the sun, the moon, and a cross. All these signs are ringed with graven ovals. These are symbols. 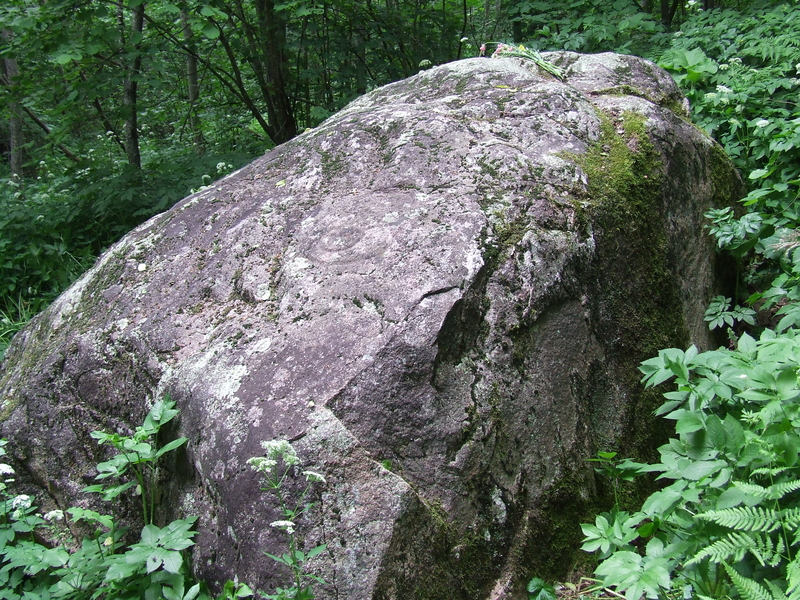 The stone of Valiulis is pale granite wreathed with stories and fables.